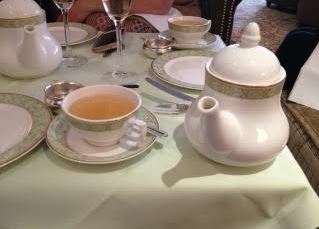 There are few things I enjoy as much as afternoon tea. The relaxed, unhurried atmosphere created by people who have nothing better to do with their day than eat somewhere swanky always forces relaxation. I may be stressing about a report I have to write and the fact I’ll have to work until 1am to make up for the long lunch but for two or three hours I can indulge in something uniquely delightful. 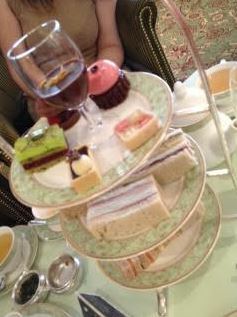 One of the things about a chocolate high tea is that is can be overly chocolaty with chocolate in the sandwiches, chocolate in the scones, chocolate in the petit fours and chocolate in the cake. Death by chocolate quite literally. 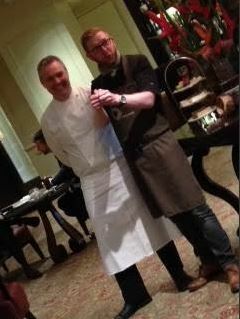 Paul A Young is quite aware of this and so spent six months working on his creation of the chocolate afternoon tea at Grosvenor House. 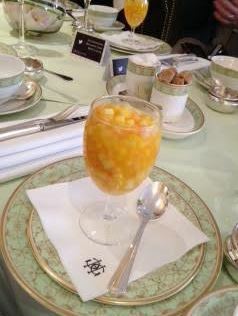 We started with a palate cleanser of mango and pineapple to clean our palate ready for the treat of a feast which was coming our way. This was absolutely huge, being a full wine glass of finely chopped fruit, and surely set us up for being full before the end (well, I was but I did scarf a lot of scones and salted caramel sauce). The sandwiches were delicious and perfectly cut, with care clearly taken to ensure they were cut with a sharp knife (unlike the tea I had at Harrods where the sandwiches were ragged and squished at the sides). 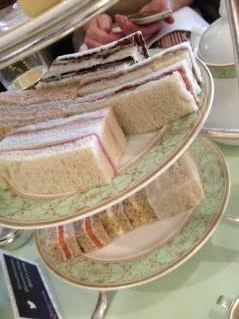 They were delicious, using quality ingredients including some Venezuelan chocolate in with the cucumber sandwiches. 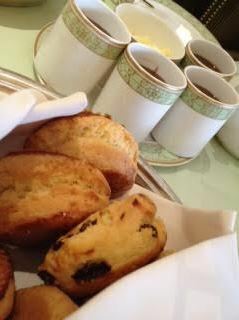 The scones were, of course, my favourite part. Why do I say “of course”? 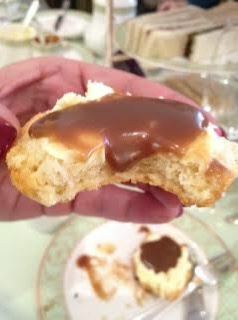 They were served with clotted cream and SALTED CARAMEL sauce. Utter indulgent delight. I couldn’t help but order refills to the scones n order to indulge in more clotted cream and more delightful clotted cream, testing whether the clotted cream should go on first or second (first for salted caramel due to the runny nature of the beast). I couldn’t stop munching them! The petit fours were also absolutely delightful. There was chocolate shortcake with chocolate ganache and raspberries and just a hint of rose, Earl Grey tea chocolate tart with salted lemon truffle, a Battenburg cake slice, a chocolate mousse and a pistachio and raspberry slice.